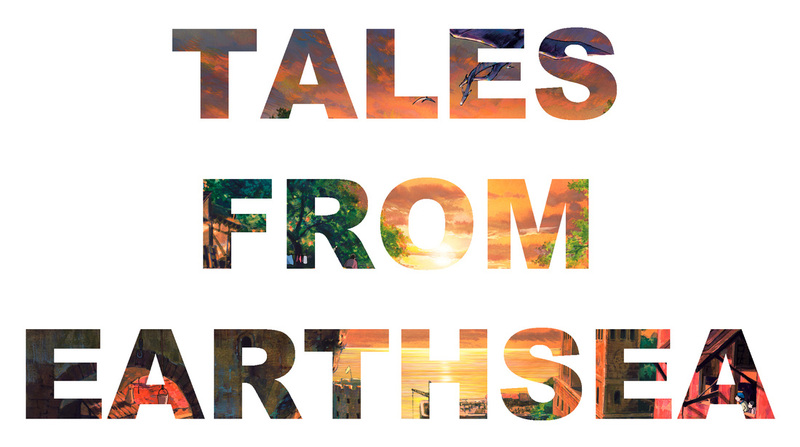 This a movie review of TALES FROM EARTHSEA. If one wants to make a rough analogy, John Lasseter is to Pixar, as Hayao Miyazaki is to Studio Ghibli. Lasseter may have directed about half of Pixar’s output so far but he is part of a stable of film-makers: Brad Bird (THE INCREDIBLES, RATATOUILLE), Andrew Stanton (FINDING NEMO, upcoming WALL·E), etc. The equally fantastic Studio Ghibli may have maestro Miyazaki dominating, but there is also Isao Takahata (GRAVE OF THE FIREFLIES, MY NEIGHBOURS THE YAMADAS, POM POKO, ONLY YESTERDAY) and Yoshifumi Kondo (WHISPER OF THE HEART) and Hiroyuki Morita (THE CAT RETURNS). 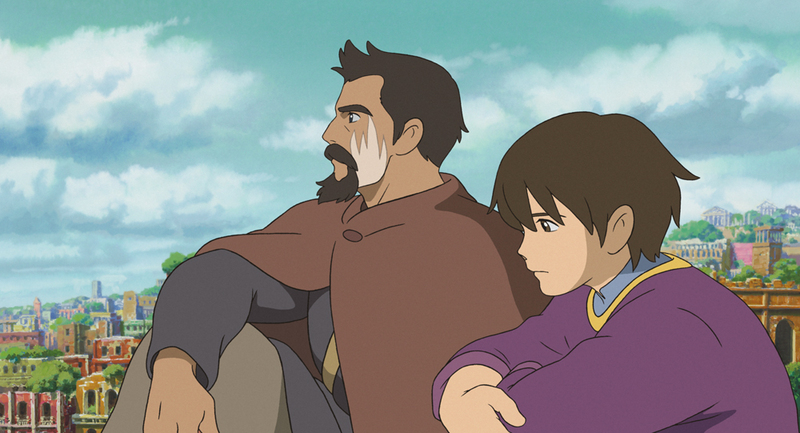 Joining the Studio Ghibli coterie is Goro Miyazaki with TALES FROM EARTHSEA. The film opened in UK cinemas last week. 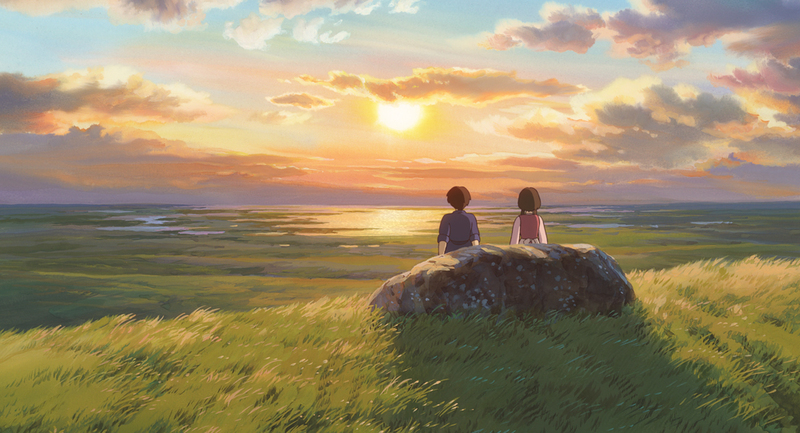 A Studio Ghibli film at a multiplex is a rare treat and is an event like any from a top film-making brand. Being the writer-director son of Hayao Miyazaki cannot be easy – the father casts a long shadow over animation. All feature cartoon-makers are always going to be compared to the best, let alone an offspring. Opening on the high seas with a dragon fight over-head is an exciting beginning that promises much for what is to follow. Root, the advisor to the king, warns that dragons coming into contact with humans is a bad sign. This coupled with drought, abandoned farms, etc. lean towards a sense of the balance in the world dimming. This is a world of magic, thought the ‘balance’ is likely to also refer to the environment. Foreboding is felt by the people. The King is stabbed to death by his son, Prince Arren. All of this happens pre-credits. Very eventful. Prince Arren is now on the run with the sword he stole from his father, but he does not have the magical ability to unsheathe it. About to be killed in the desert by hyenas he is rescued by wandering arc-mage, sorcerer Sparrowhawk (voiced in this English version by ex-James Bond, Timothy Dalton). Arren has no purpose and so joins Sparrowhawk. On their journey they come across much sadness that has befallen the land – slavery, drug- addiction, madness, death. These are very adult issues for a cartoon to deal with, and Miyazaki is ambitious to attempt to tackle them. Sparrowhawk states that if there was a pestilence, the balance would right it, but an evil creature is attempting to disturb the balance. There is only one creature powerful to do that – Lord Cobb (a charismatic and rare voicing by Willem Defoe). 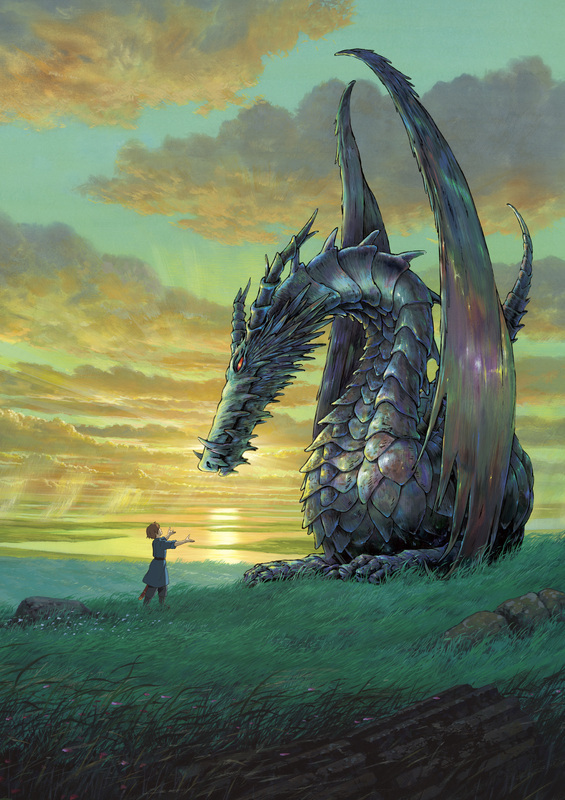 Sparrowhawk is looking for answers to Earthsea’s problems. On their journey Arren rescues a young witch girl, Theru, scarred across her face by abusive parents. There is much credit to be given to Miyazaki for dealing with important themes in a fantasy universe that, like a fairy tale, children can swallow without being too scared, and adults can also contemplate. 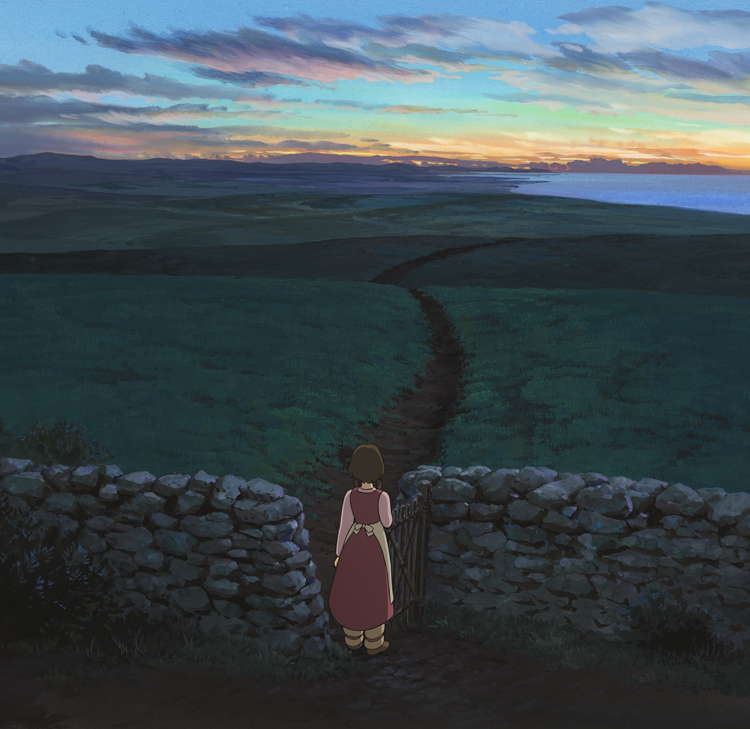 What lets down TALES FROM EARTHSEA, however, are several important elements. 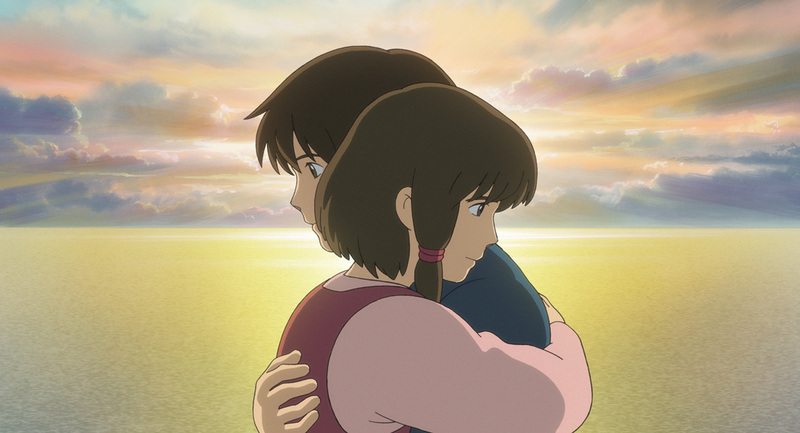 Although allowances must be made for a first feature, the animation is a disappointment (apart from dragon breath issuing sparks that fly back in the wind) - it is not in the same league as Studio Ghibli’s best. It looks of the Saturday morning cartoon variety rather than of the standard of a cinematic release. Also, there is none of the imaginative verve or attention to detail of Hayao Miyazaki – it may seem unfair to compare, but it is unavoidable unfortunately. The least forgivable though are the weak and clunky dialogue and wishy-washy storytelling. Every movie-maker deserves a second chance, especially one as seemingly thematically fearless, and here’s hoping Goro Miyazaki’s next feature is a step up.